A Par 4 with a slight dog leg from left to right and worthy of its stroke index 2 rating. 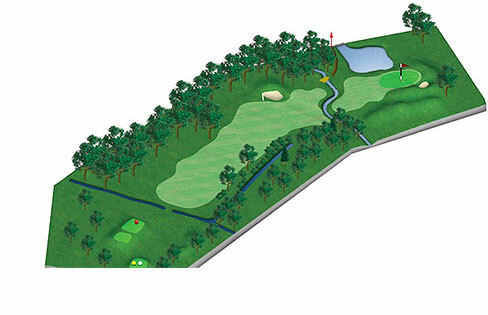 A drive down the left side of this tree lined fairway gives a clear approach to the green, but a ditch must be carried and a lake to the left of the green avoided. Note the green is very deceptive sloping from left to right.